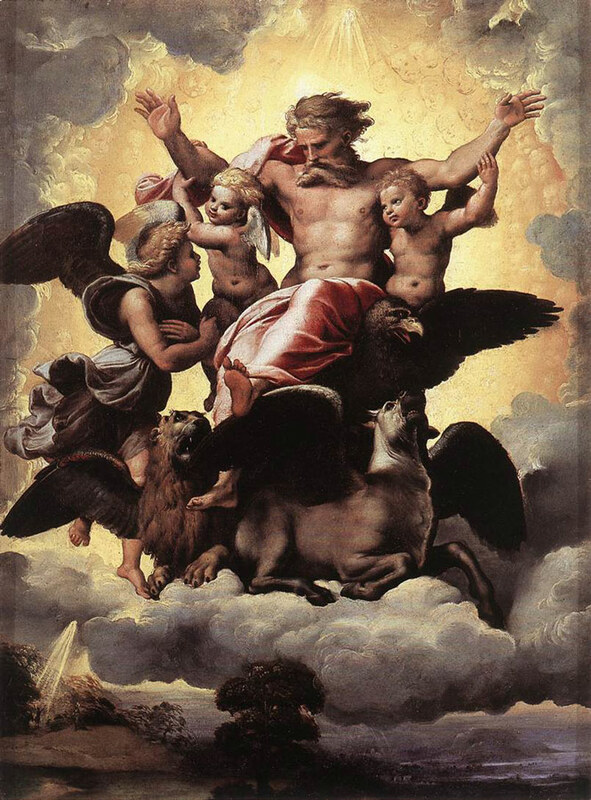 The oil painting that showed the vision of the prophet Ezekiel about God was created in 1518 by Raphael was said to pay homage to another Italian artist, Michelangelo. He used the same elements from previous works by the artist and used it in depicting the majestic presence of God. Art critics such as Giorgio Vasari were impressed by how the vision was emphasized and magnified in the drawing, that the prophet standing at lower left part of the drawing is almost unnoticed. God is accompanied by cherubims, and symbols of the evangelists such as the ox, lion, eagle and angel dominated the whole painting. The intricate illustration of the clouds and sharp detail at the rays are also impressive, making the painting truly a masterpiece. a related topic, your web site came up, it looks great. I have bookmarked it in my google bookmarks.